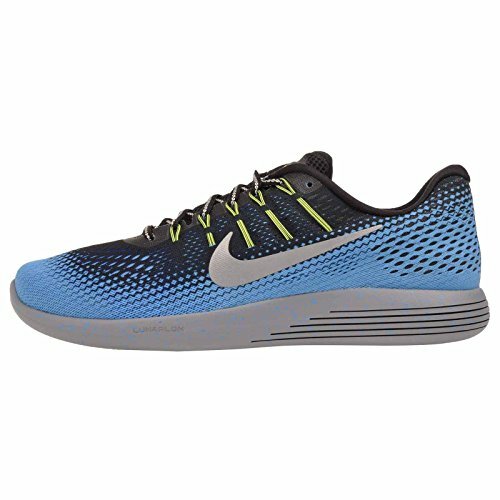 One of the most technologically advanced models on the market is the Nike LunarGlide 8 Shield. Nike aimed to create the feeling as if you’re running on the surface of the Moon. That is, the feeling of lowered gravity, in which you can run faster and longer than usual. How does that translate into a shoe? 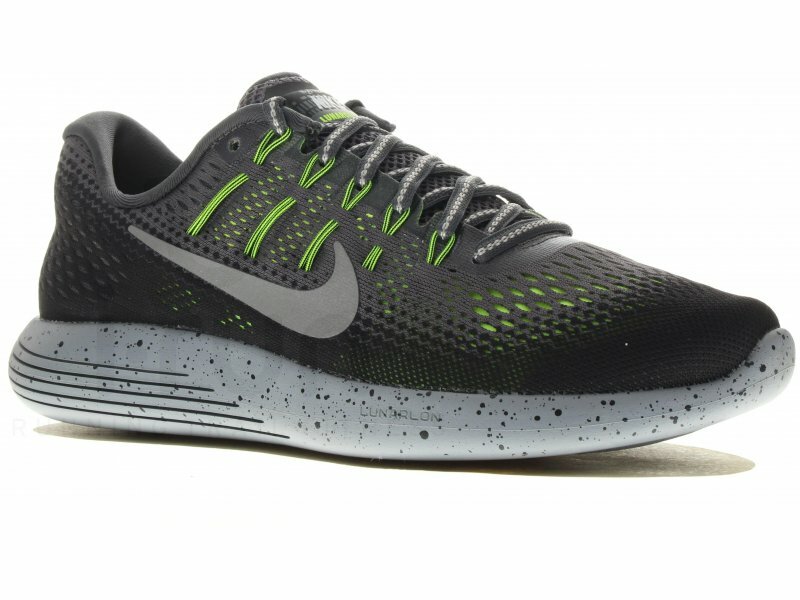 First of all, the cushioning of the LunarGlide 8 Shield is extremely soft and comfortable. In fact, too soft for some and requires some adapting to. We observed other paradoxes during our Nike LunarGlide 8 Shield reviews. For instance, the Shield part of the name indicates that these are water-resistant running shoes, yet the upper mash material is very breathable. Thus, breathability hasn’t been sacrificed in the slightest in the process of making the LunarGlide 8 Shield water-repellent. Thanks to its versatility, this model is an excellent choice for any type of weather as the updated rubber provides even better traction in wet conditions. Furthermore, this is a great looking, mildly futuristic model. It can just as well be worn indoors for your gym sessions, although you won’t be fully taking advantage of its potentials. 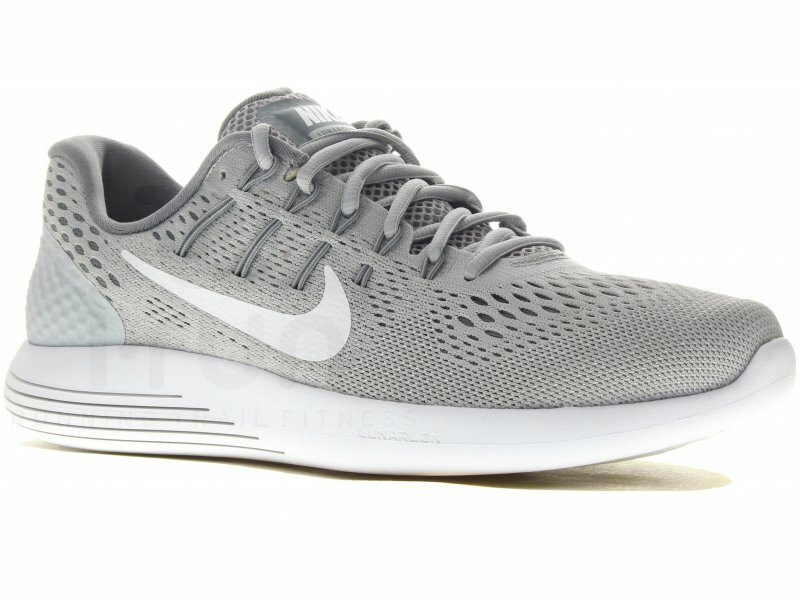 Nike LunarGlide 8 Shield women’s models come in our favorite color option – wolf grey. 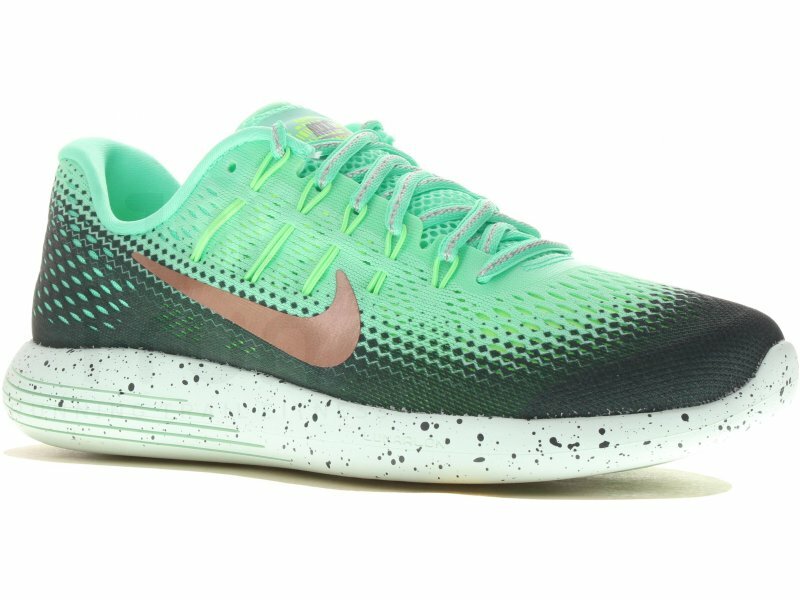 For some reason, we couldn’t find the same for Nike LunarGlide 8 Shield men’s models, even though it’s quite gender-neutral. This is one of the most expensive running shoes on our list. Its price, however, is justified by the number of advanced features of this model and you can make use of a Nike promo code to reduce its price. Furthermore, you can also find it at other merchants and rely on their discounts such as Finish Line coupon codes, for example. What we didn’t like, is how easily the outsole gathers rocks. It also shows signs of deterioration earlier than anticipated. Finally, the model is quite narrow for some. Hopefully, these are some of the things that can be improved with Nike LunarGlide 9 Shield. Finally, if you choose this model, you’ll undoubtedly get a superb running shoe. It will probably interest most those who are often faced with challenging weather conditions. Among the best Nike running shoes, this is the best water-resistant model. 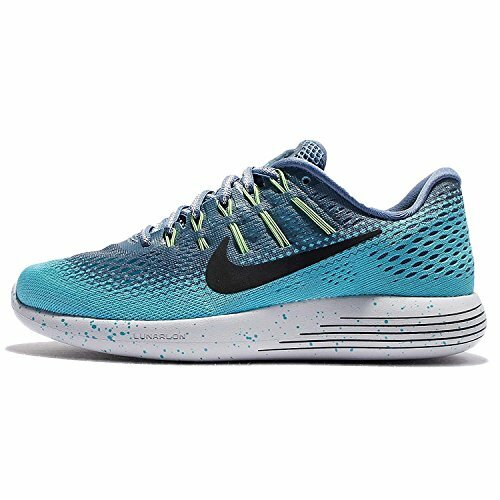 But other attributes, like its excellent traction and cloud-like cushioning, also add up to the reason why we wholeheartedly recommend Nike LunarGlide 8 Shield to just about everyone.